I had been eagerly anticipating the Mass-Alpha Annual Conference and Trade Show which is a yearly event for professionals in the ‘people care’ industries. Being a part of New Outlook Homecare and someone who thrives in social situations, I knew October 27 would be filled with adventure and some serious networking. It was a cold, rainy day as we departed to the DCU Center in Worcester, Mass. but despite the bad weather, by the time we pulled up to the Center we were ready for the day’s event. The purpose of the conference was to provide valuable information to the attendees who play different roles in assisted living and private care facilities and to increase their knowledge in order to provide exceptional care to their clients. The speaker, Tim Brenton of the Brenton Group, spoke of the nine different ways to acknowledge and respond to clients and how to pay attention to the smallest of details. His strategies were both effective and timely. Mr. Brenton was an excellent speaker; he kept things interesting and had us laughing which only left us wanting more. During the breaks everyone had the chance to mingle and some serious networking was on display. 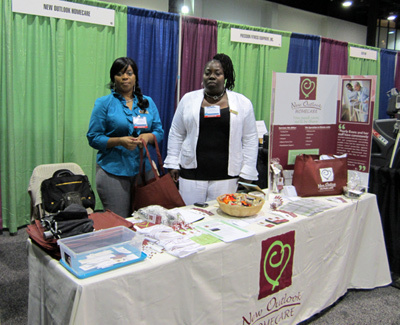 There were more than 100 booths and the exhibitors were all ready to schmooze. 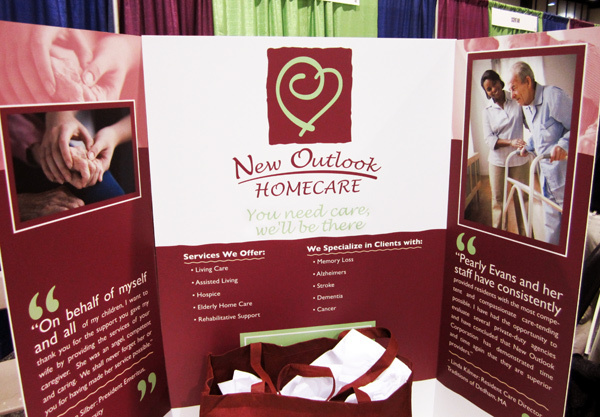 New Outlook Homecare had booth #40 and our neighboring exhibitors were very friendly and warm at the same time. Though it was the first time for many of them, like myself, we had fun. Thank you to my great neighbors: Home Care Alliance (HCA), Sani-Med Distributors (SMD Inc) BAYADA Nurses and PFE (Precision Fitness Equipment). This was a wonderful and engaging conference and we were able to walk away with new information and methods which New Outlook will be putting to use in caring for our clients. To everyone who was there: I look forward to seeing you again next year.